Since the contributions by D. North [(1990). Institutions, institutional change, and economic performance. New York: CUP] and his Nobel Prize lecture [(1994). Economic performance through time, Nobel Prize Lecture. The American Economic Review, 84(3), 359–368], the relationship between mind and institutions has been increasingly investigated by economists. Mantzavinos, North, and Shariq [(2004). Learning, institutions, and economic performance. Perspectives on Politics, 2(1), 75–84] introduced the expression cognitive institutionalism in order to define this stream of research. 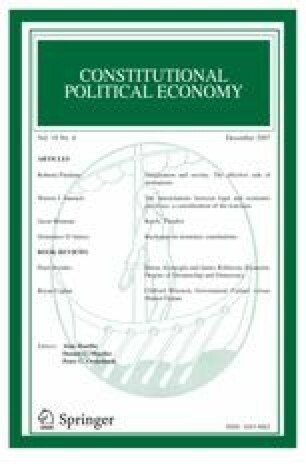 In the first part of the paper we discuss some recent findings of the cognitive approach to institutions and its roots in the history of economic ideas. We also claim that in such an approach, no place has yet been found for a crucial faculty of the human mind, imagination. We then explore the concept of radical imaginary developed by Cornelius Castoriadis in his book The Imaginary Institution of Society (1975; 1987). From the perspective of cognitive economics, and on the grounds of Castoriadis’ legacy, we aim at highlighting some basic mechanisms of interaction between imagination, affectivity and institutions. A previous version of this paper was presented at the III Storep annual conference in Lecce (Italy), June 1–3, 2006. I thank the participants and my discussant Massimo Egidi for their suggestions. I am very grateful to Salvatore Rizzello for his helpful comments and support.